Hello guys! I've thought it'd be nice to do a post with the things that currently inspire me at the beginning of every month. I love fall, and that actually that time of the year when I get the most inspired and wanna try new things: hobbies, decor, makeup, clothes, etc. Take a look at my world! With the beginning of fall, I always feel like gravitating towards darker shades of lipstick and trying on slightly more intense makeup. I've been especially addicted to burgundy lips and metallic eyeshadow (not together!). 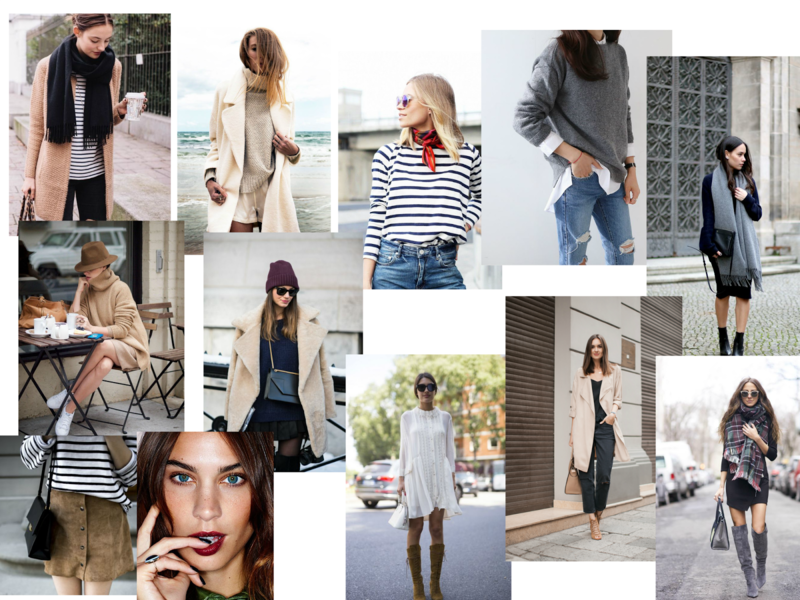 As for fashion, I'm currently loving neck scarves, oversized turtleneck sweaters, hats and neutral shades. You can find some looks that I'm loving right now in my previous post or on my Pinterest page. Also, I now have a folder with all my outfits on Bloglovin. In decor, my favorite thing right now is white, paired with wood. I love the juxtaposition of old and modern, simple and chic. I begin to gravitate more and more towards clean open spaces with lots of white and some gold touches. I also have a board on Pinterest, filled with beautiful interiors, and that's probably my biggest folder (what can I say, I love decor). And, of course, I had to include food in this list. As the weather has begun getting colder, I couldn't help but start craving warm meals and drinks. Oatmeal and granola have been my go-tos for breakfast, and roasted veggies and avocado toasts - for lunch. Also, I took full advantage of the last figs this season (aka my favorite fruits ever! ).